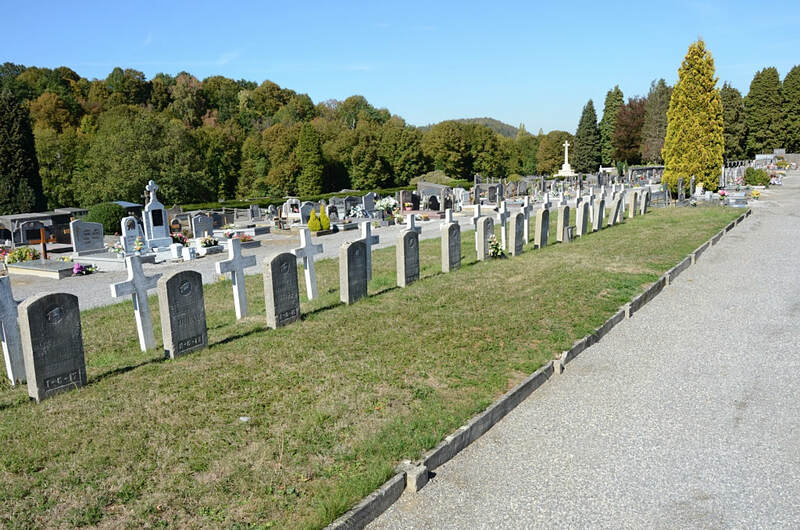 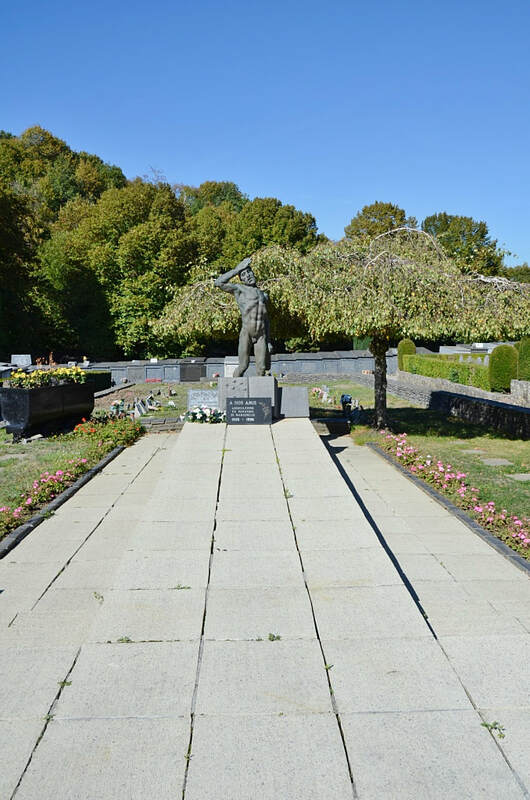 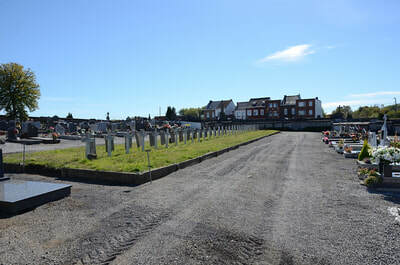 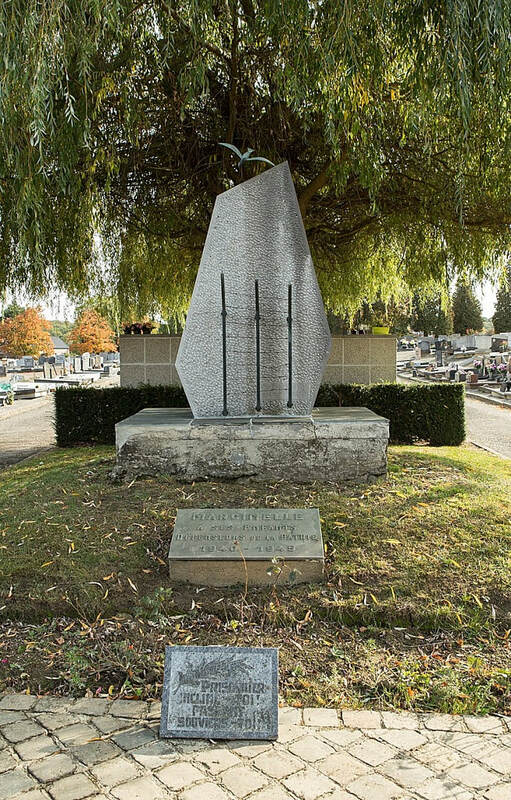 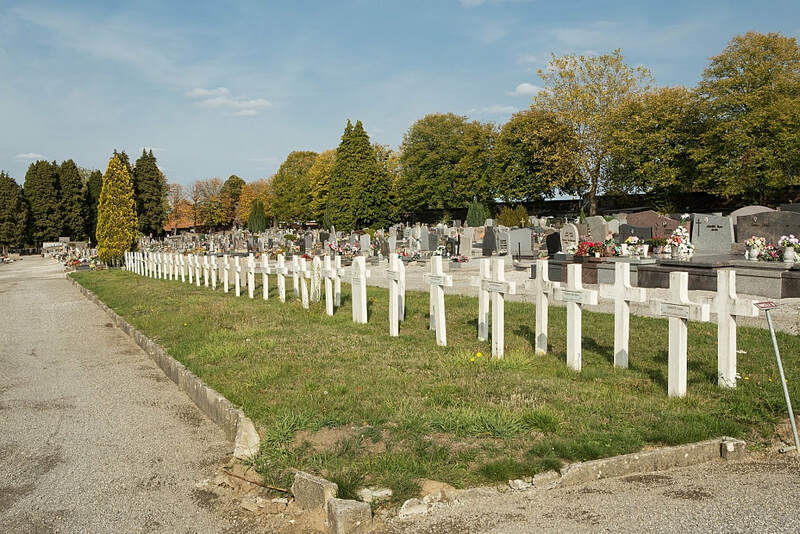 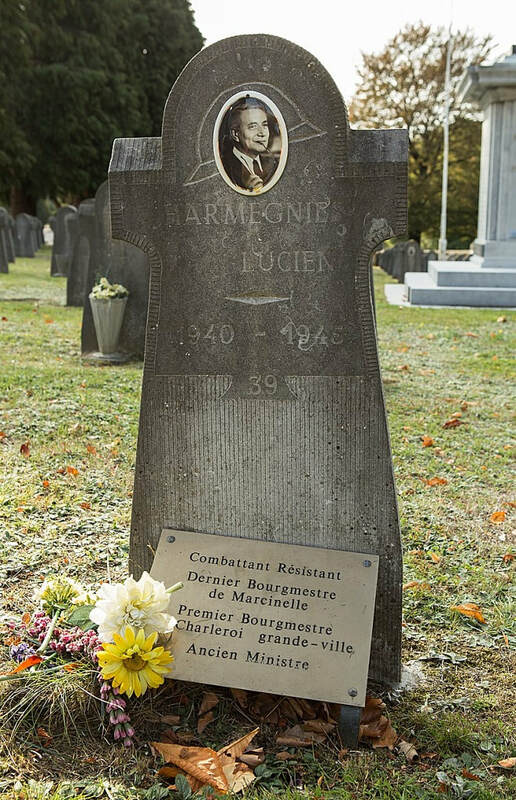 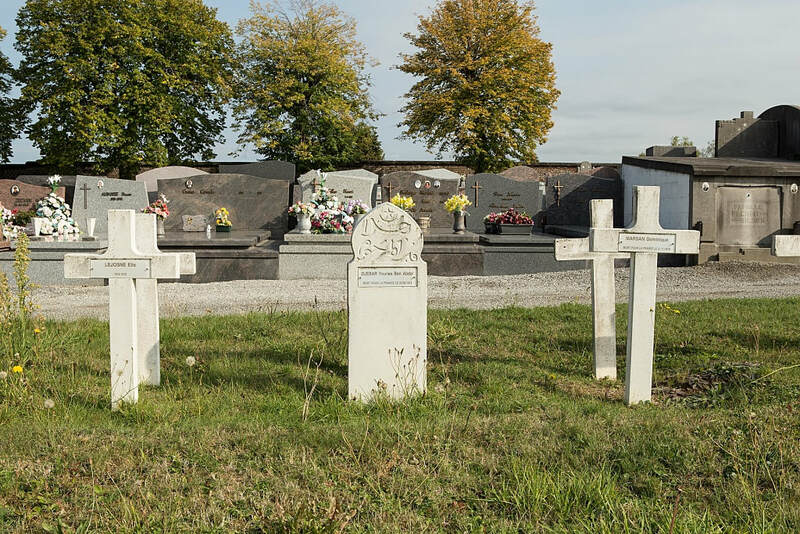 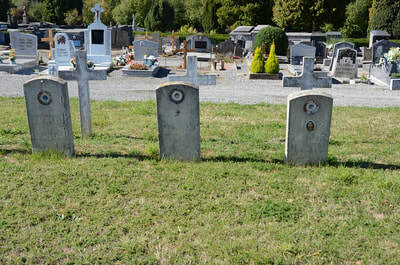 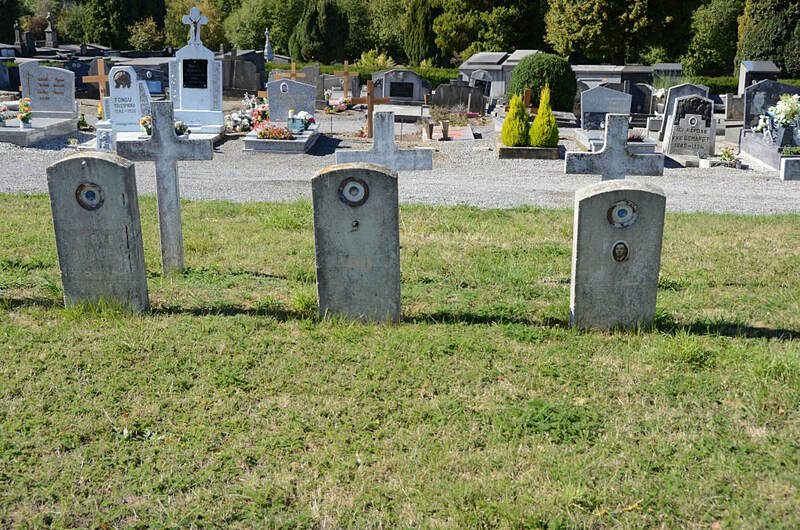 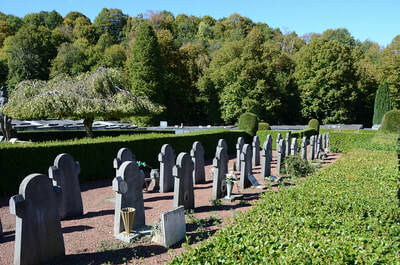 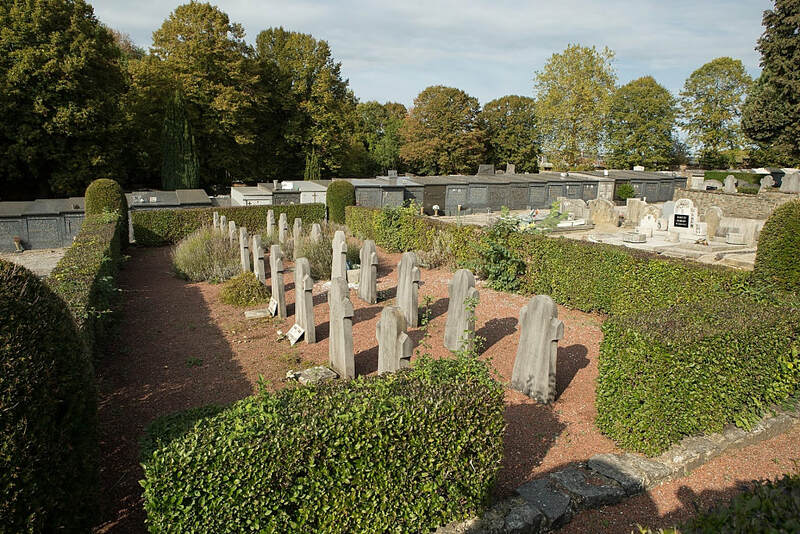 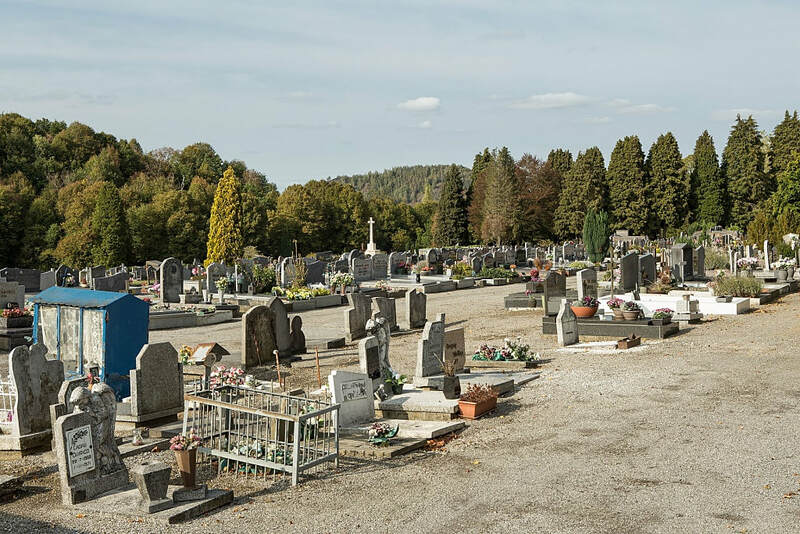 Marcinelle New Communal Cemetery is located 3 kilometres south west of Charleroi. 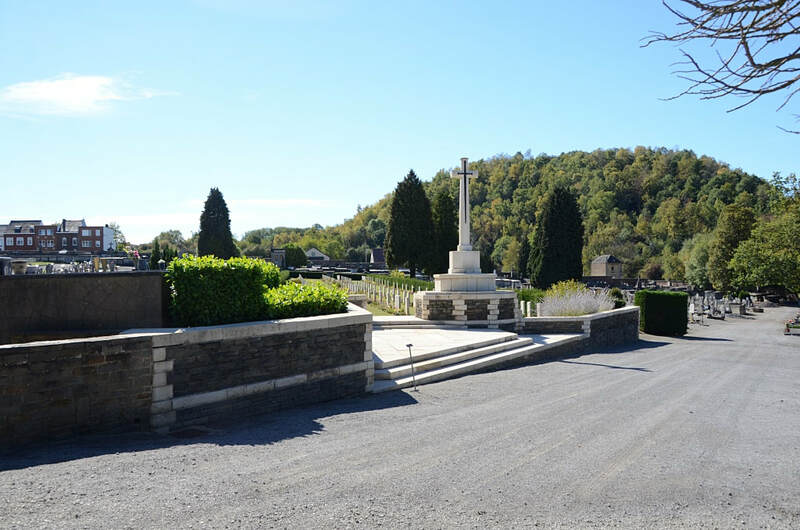 From the Charleroi ring road, R9, exit at number 30 onto the N5 towards Philippeville. After 500 metres turn right onto the N 565, rue Pierre Bailly. 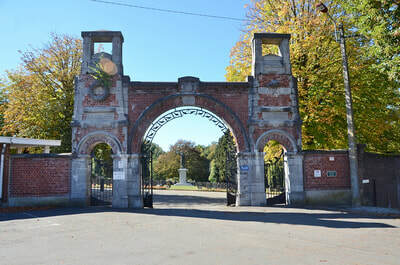 Continue along this road to the rue des Haies. 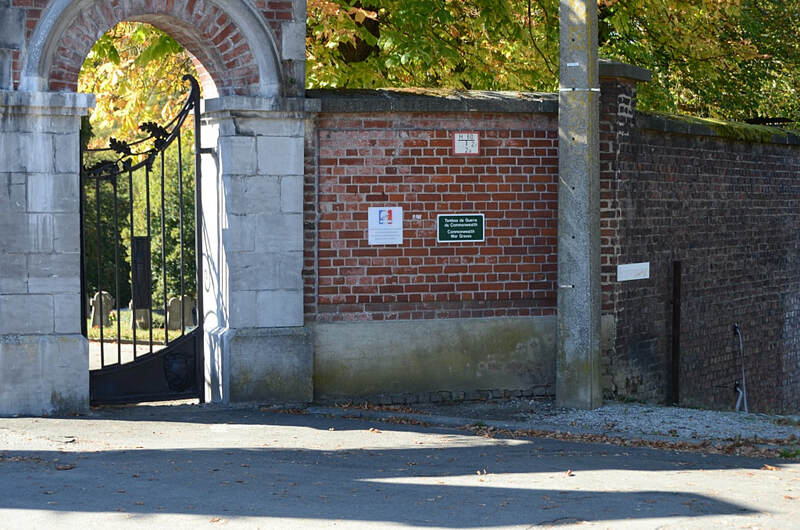 After 1 kilometre this road becomes the rue Babotterie and continues for a futher kilometre onto the rue Babotterie. 1 kilometre further on, the road changes its name to the rue Montagne and meets a church and the right hand turning, onto the rue Louis Pasteur. 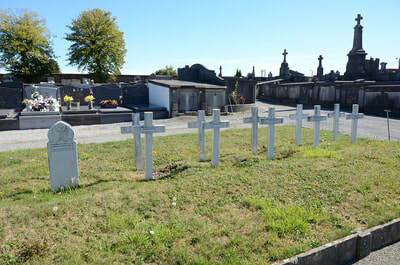 The next left hand turning leads onto the rue des Sarts and the cemetery is located 100 metres along this road. 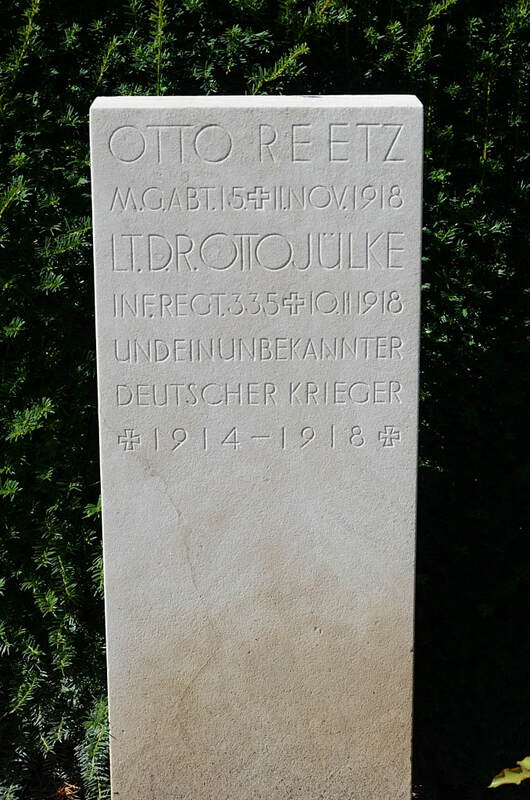 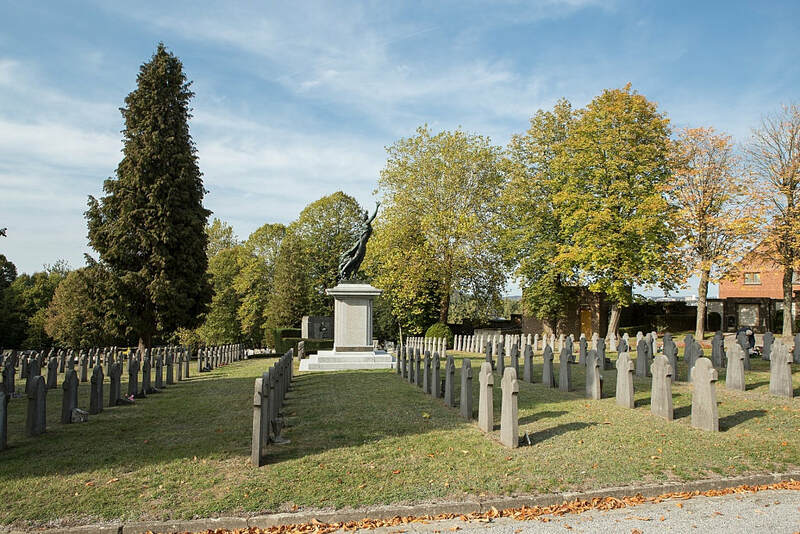 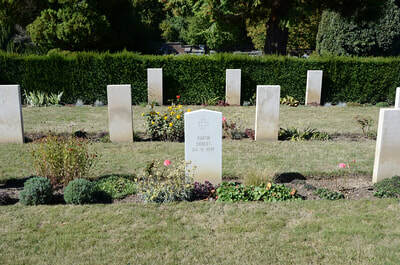 Marcinelle New Communal Cemetery was used during the German occupation, and later, after the Armistice, by Commonwealth forces. 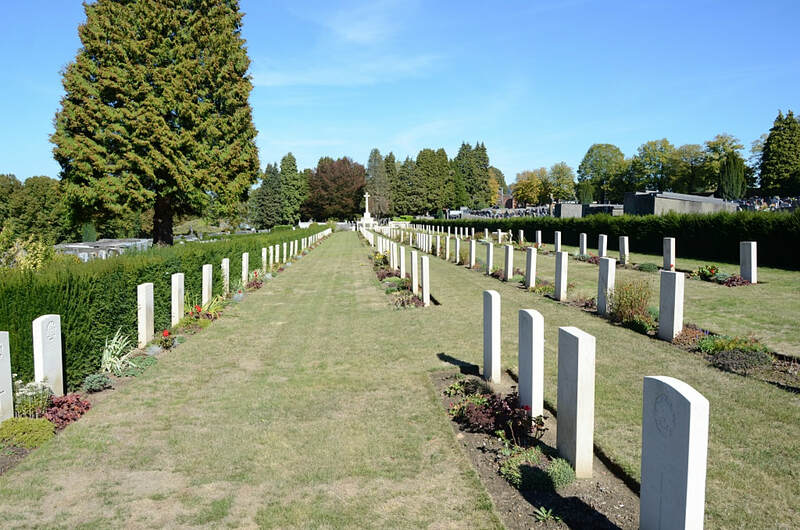 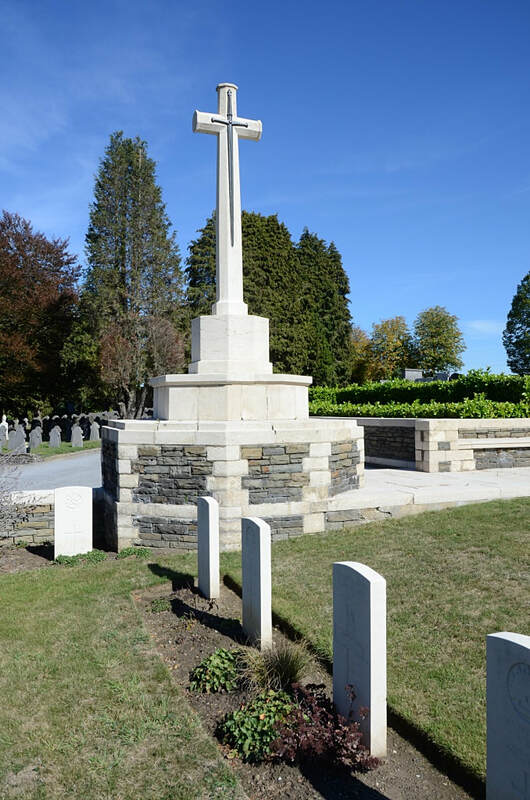 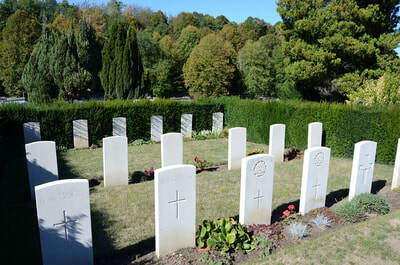 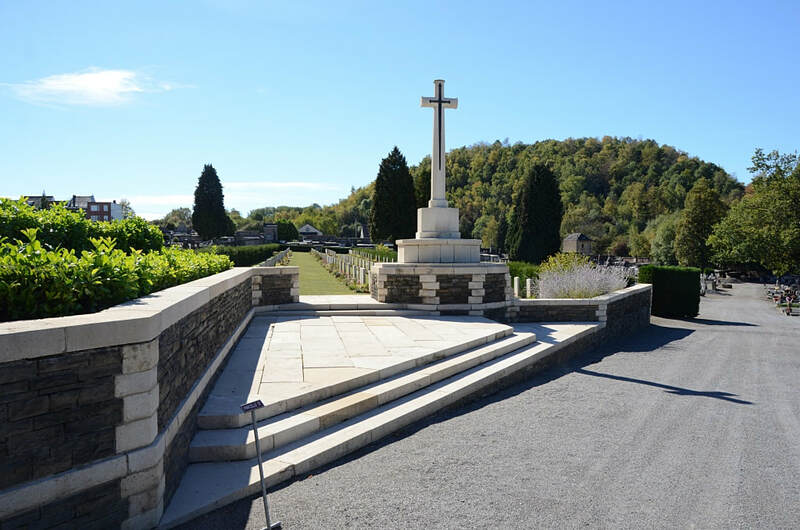 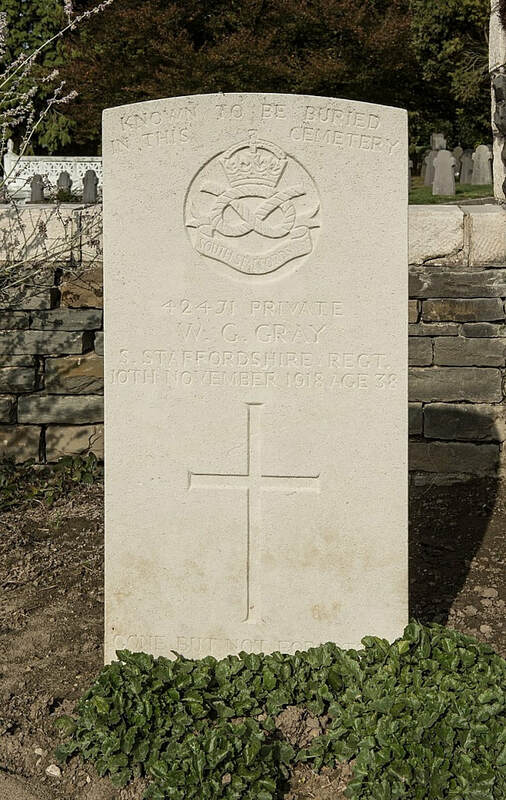 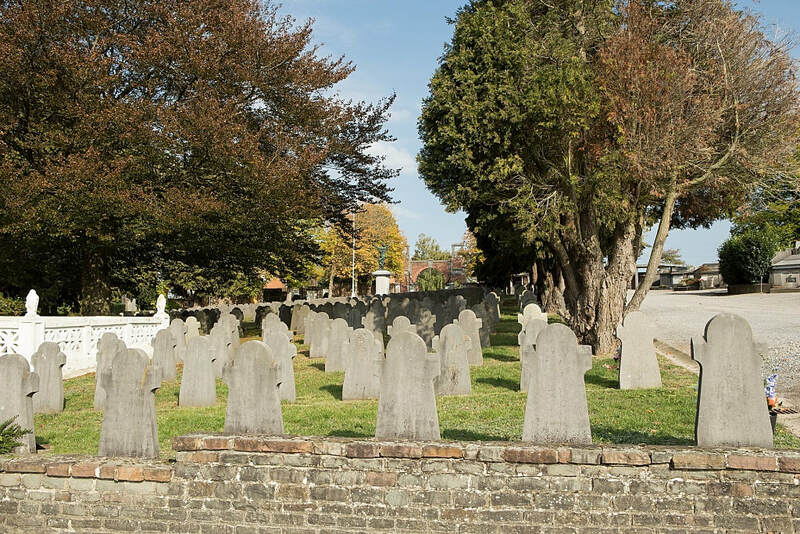 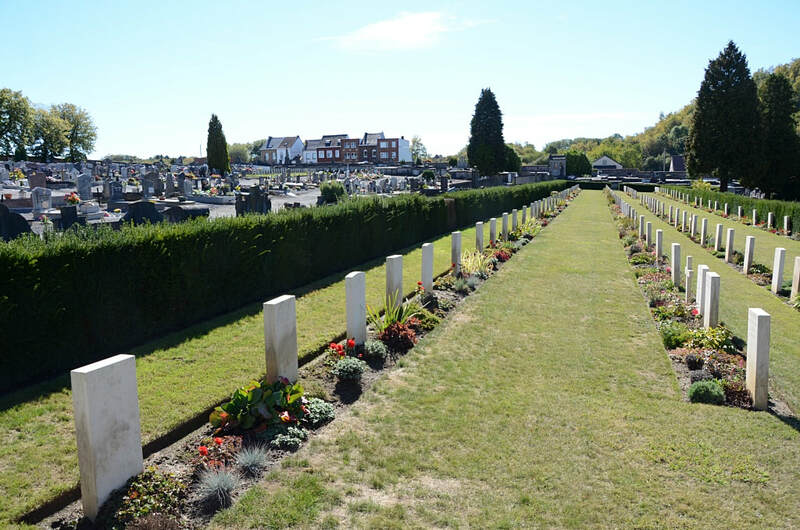 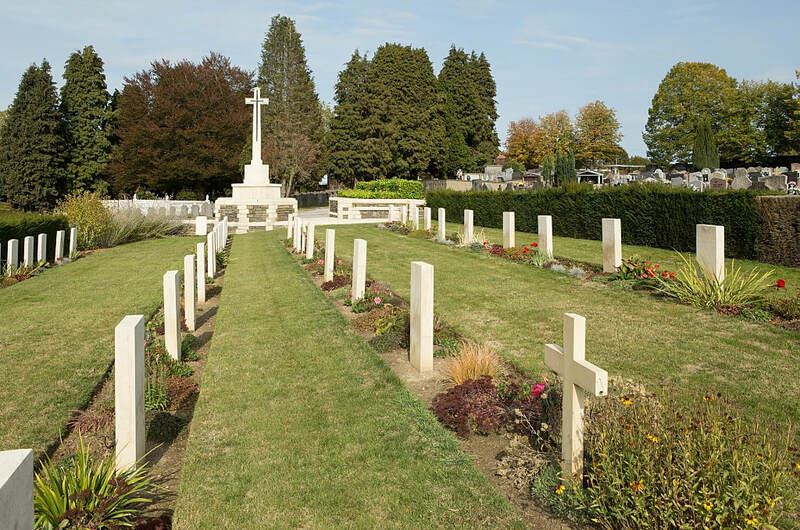 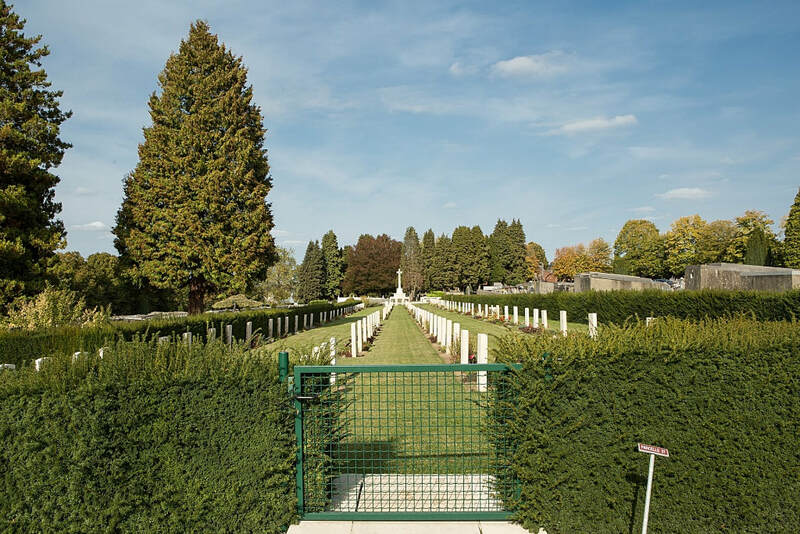 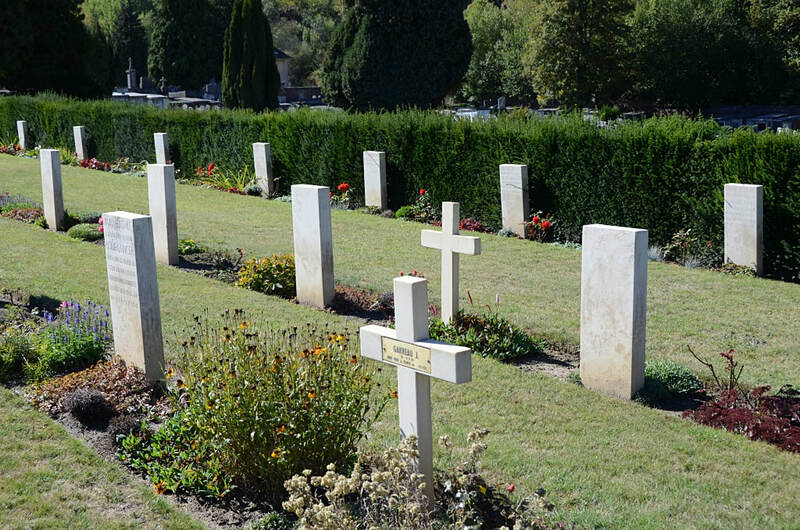 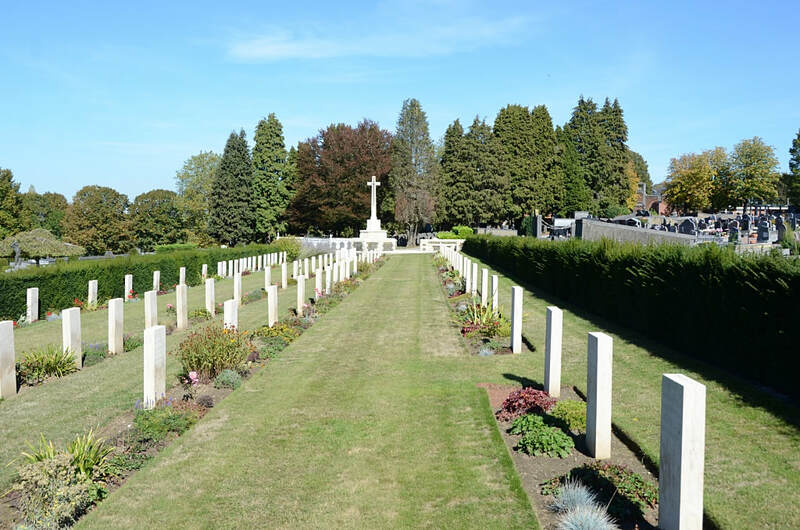 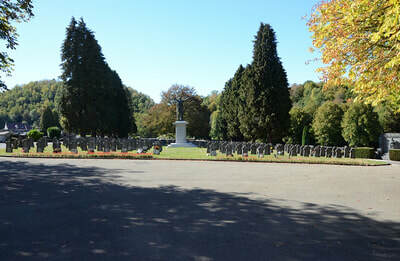 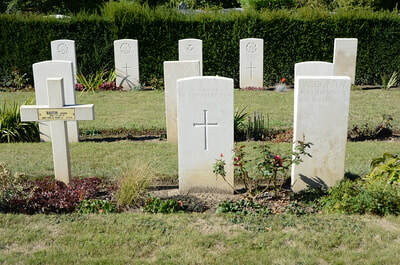 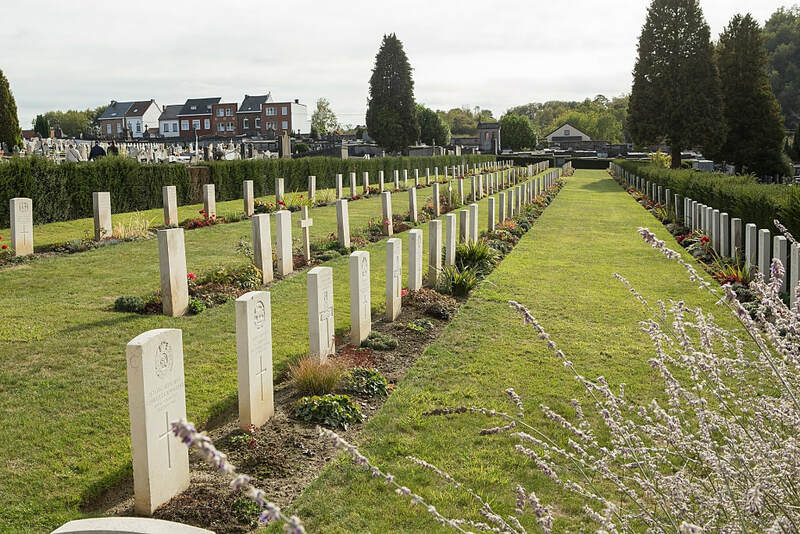 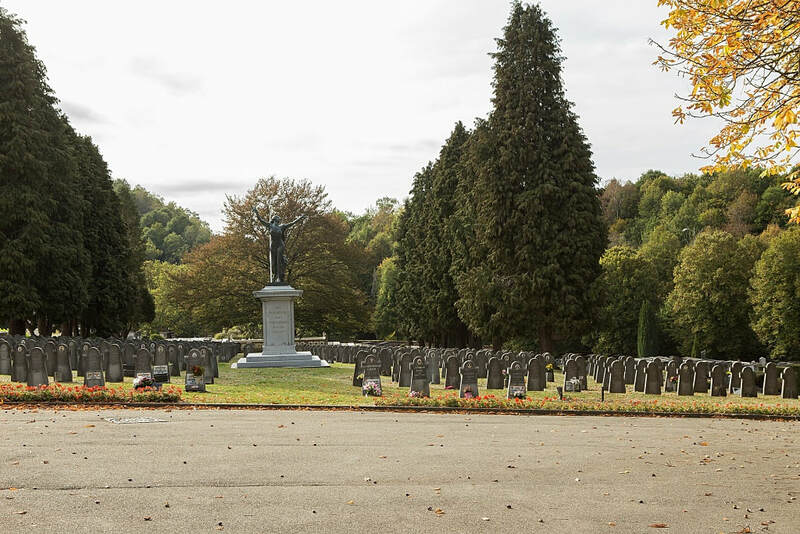 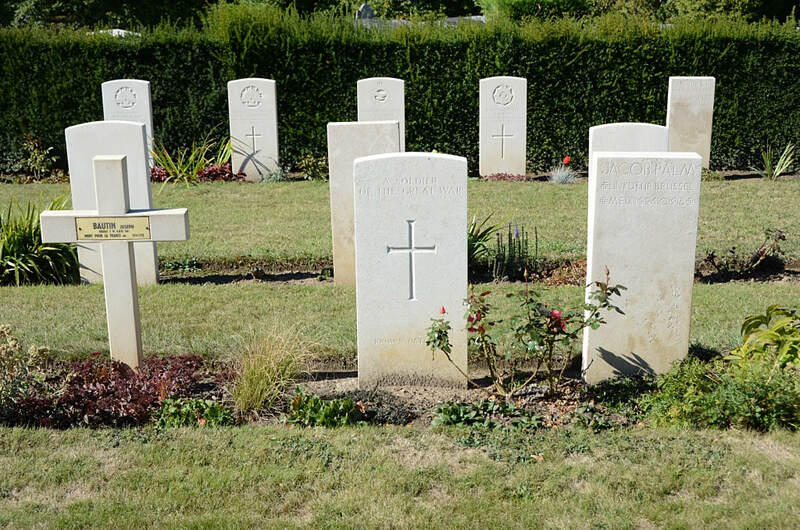 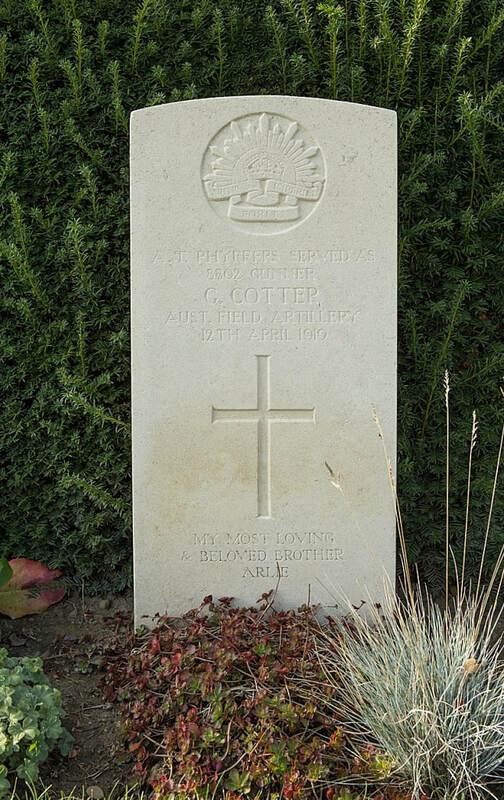 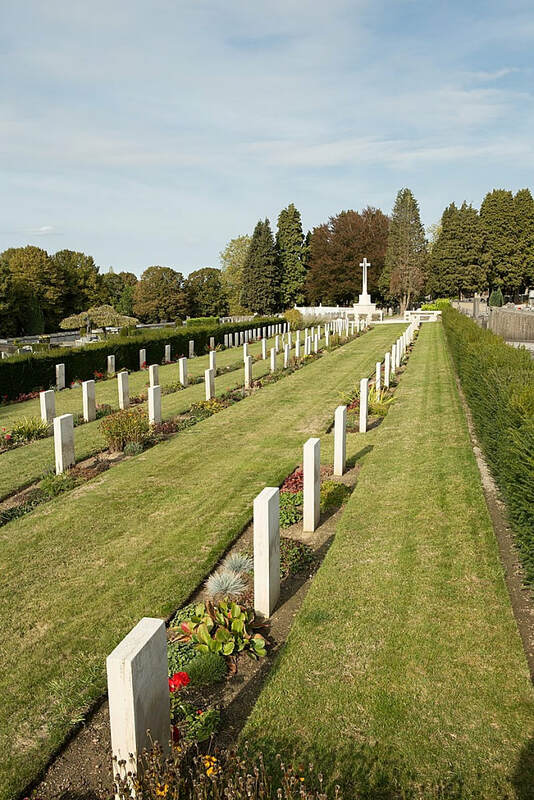 The cemetery contains 59 Commonwealth burials of the First World War, 10 of them unidentified. 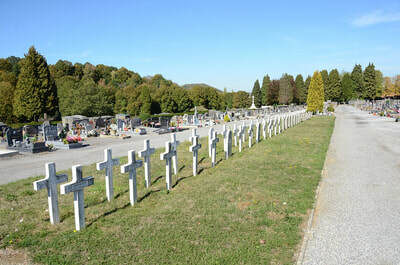 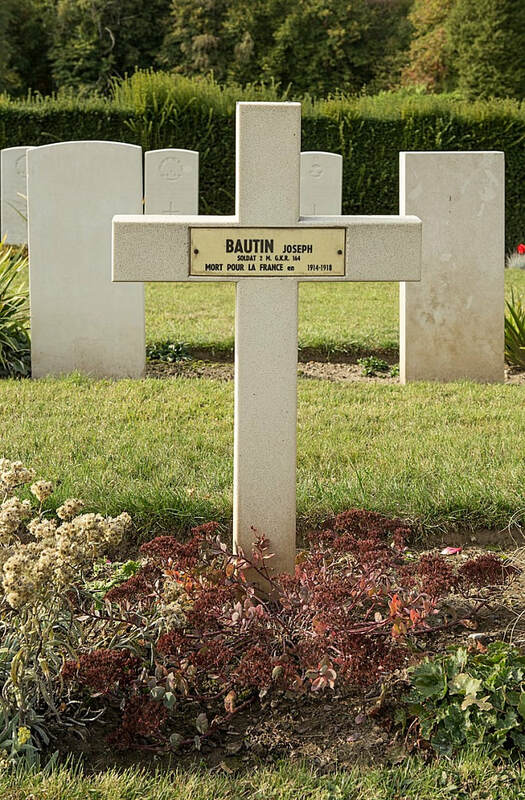 There are also 27 French graves and 328 German war graves. Of the German burials 98 are unidentified and a Special Cross names 44 of those known to be buried among the unidentified in this cemetery. 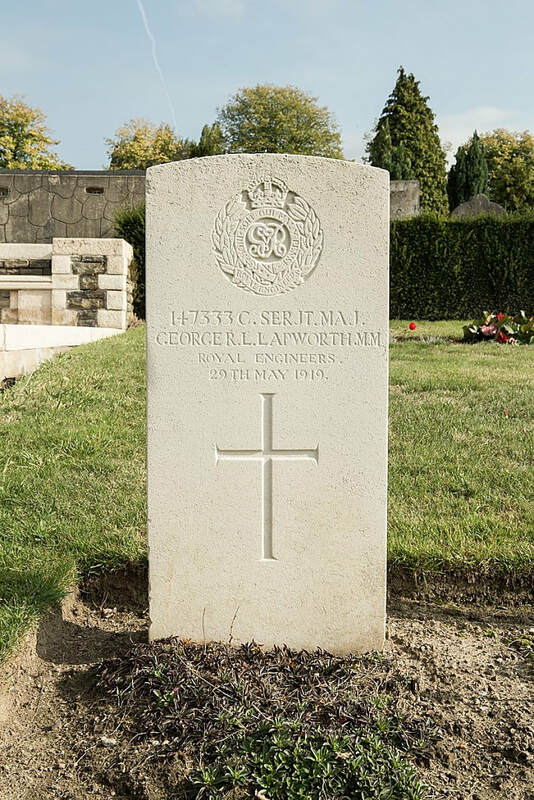 9th May 1919, aged 41. 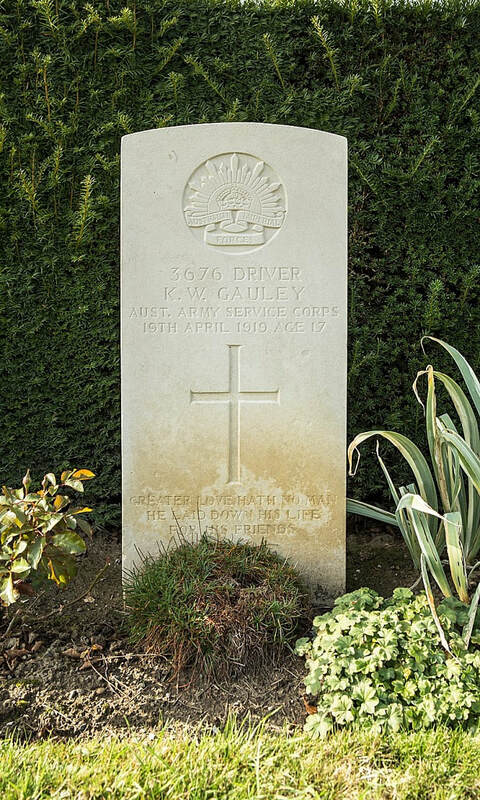 14th April 1919, aged 25. 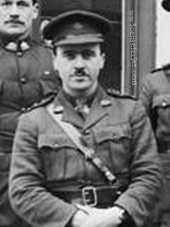 Son of Henry and Selena Jane Hains. 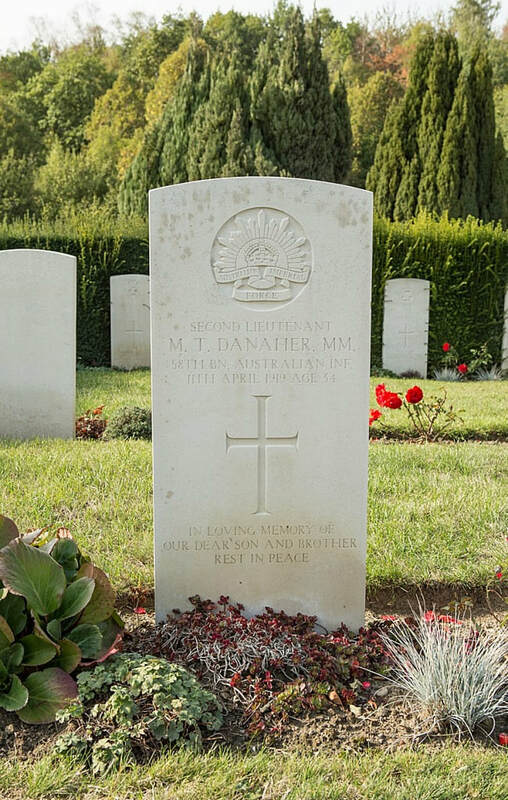 Native of Hurstville, Sydney, New South Wales.